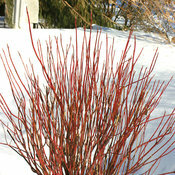 Arctic Fire® dogwood has beautiful red stems and a compact habit and is at its in the winter sunlight. 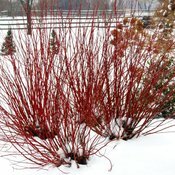 This dwarf variety reaches just 3-5' feet rather than the 8-10' of conventional red-twig dogwood. 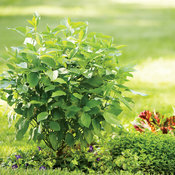 Its smaller size makes this variety a great breakthrough for smaller gardens or residential landscapes. 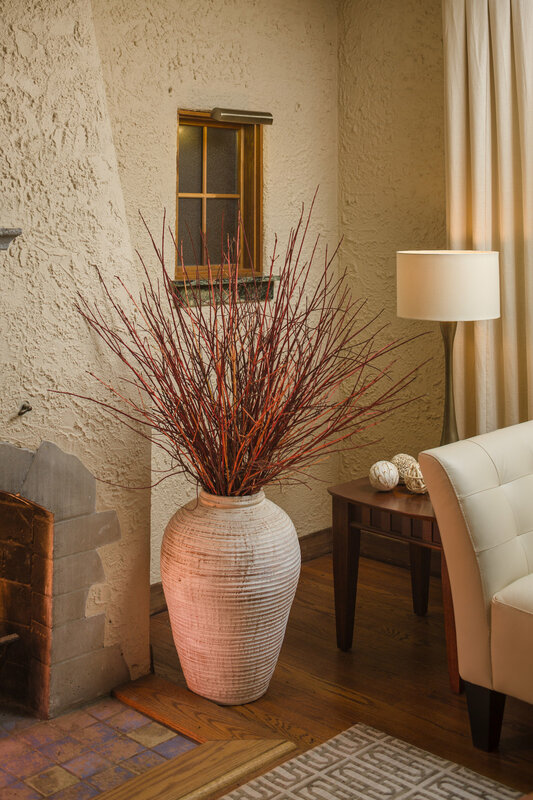 Tolerates a wide range of soil and light conditions. 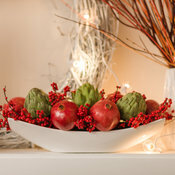 Plant a few extra to use in winter arrangements and holiday dècor! Native to North America. Great for landscapes, use in perennial or shrub borders, masses and groupings, container gardens and winter gardens. 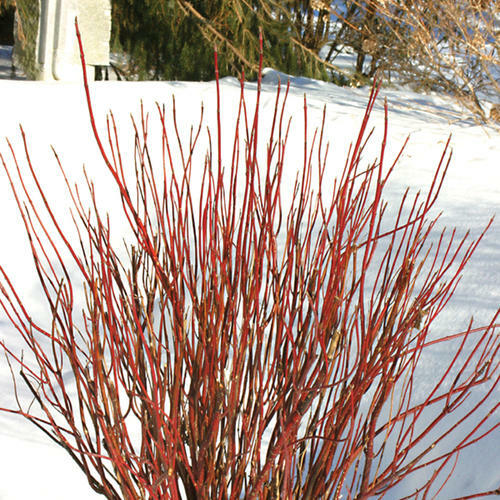 PLEASE NOTE: Arctic Fire® Red-Osier Dogwood Cornus is restricted and cannot be shipped to the state(s) of FL. 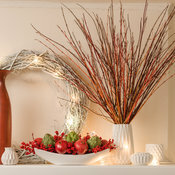 The best red color appears on one and two year old stems; older stems will turn corky and brown. 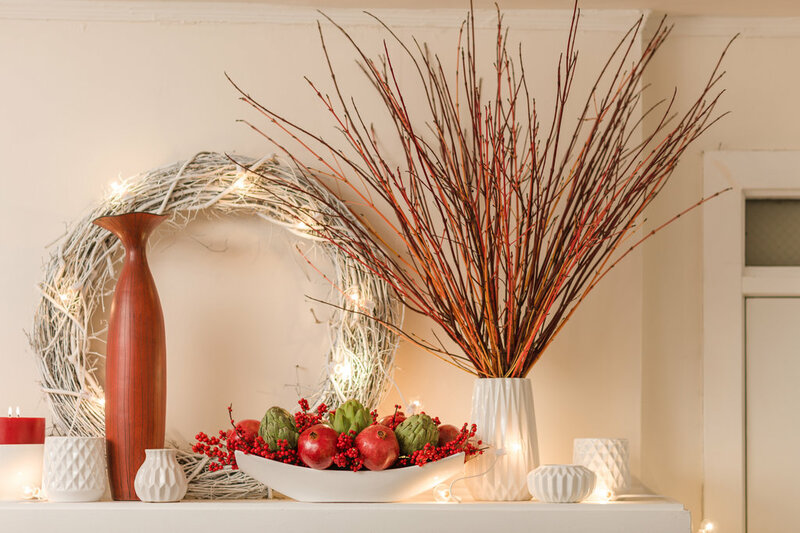 To maintain a colorful display, you can do one of two things: one, cut the whole plant back to short stubs every other year. 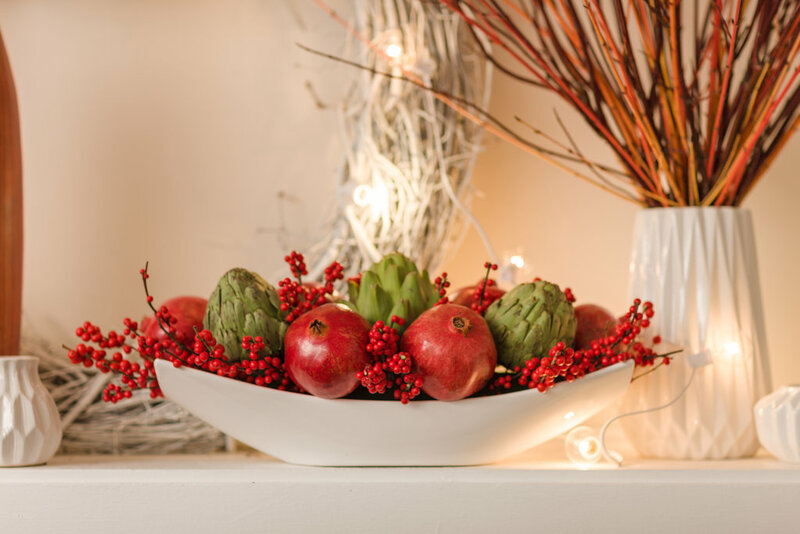 Two, cut out one-third of the oldest stems every year. 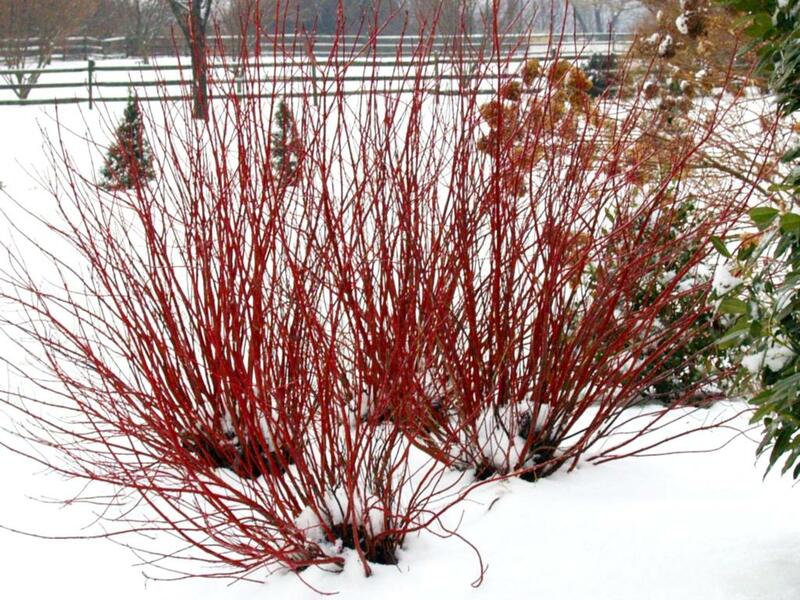 This option is recommended if you planted your Arctic Fire® dogwood to provide coverage. 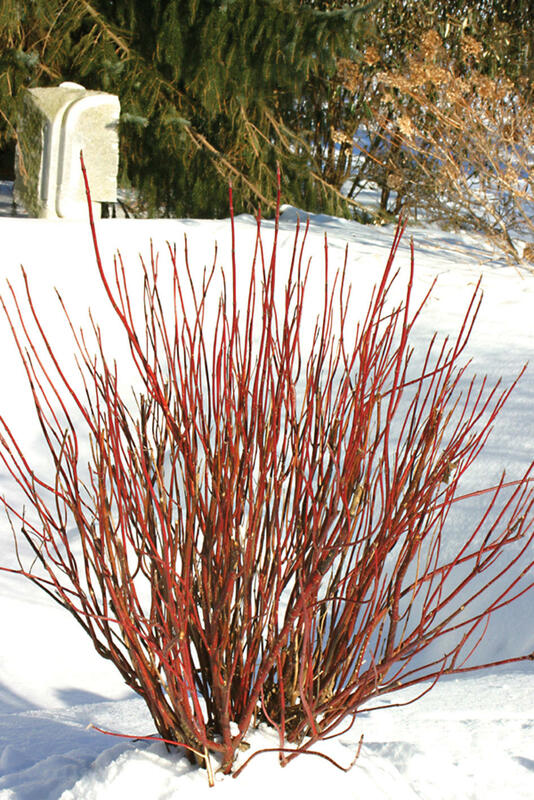 Early spring is the best time to prune. 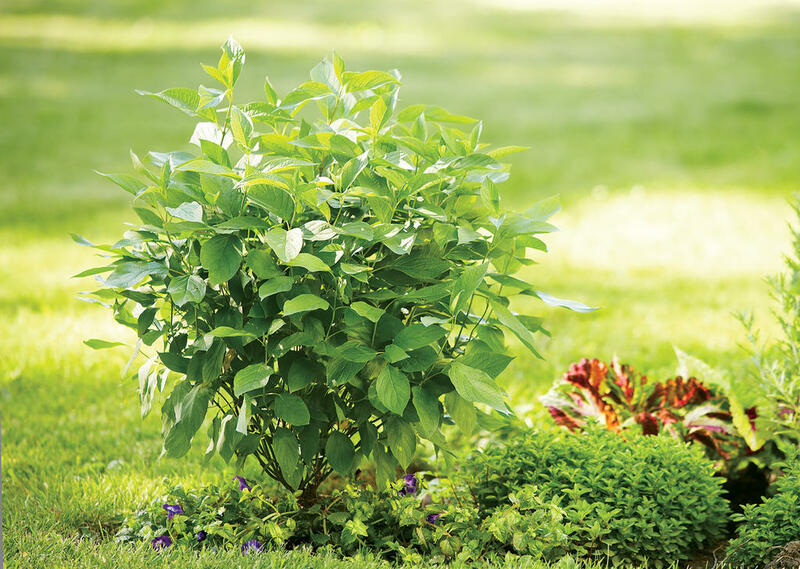 If desired, apply a granular fertilizer formulated for trees and shrubs at pruning time. Plant was blooming when I bought it the summer before last. Last summer, it did not bloom, but grew large. Now, it is June 14, 2010, & there still are no signs of flowering this year, either? Arctic Sun, which is next to it, is lovely and blooming. I love this plant, it is beautiful year around. 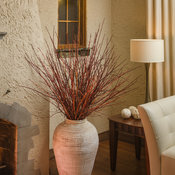 Bushes out in early spring then it blooms little white blooms in late summer then in late fall it drops it leaves and the branches turn bright red for a beautiful winter color in the cold months.